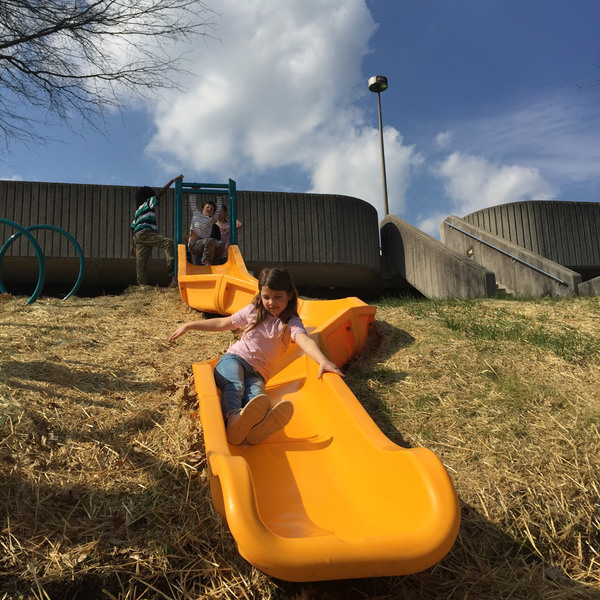 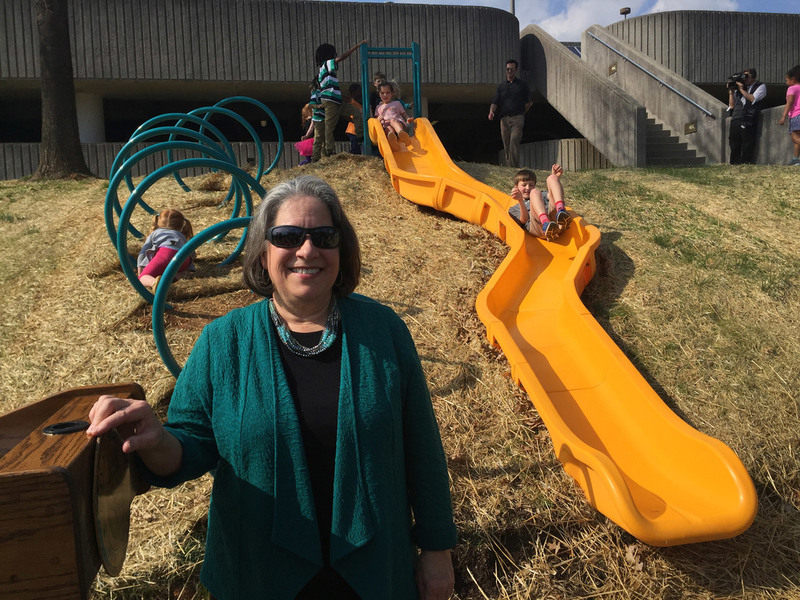 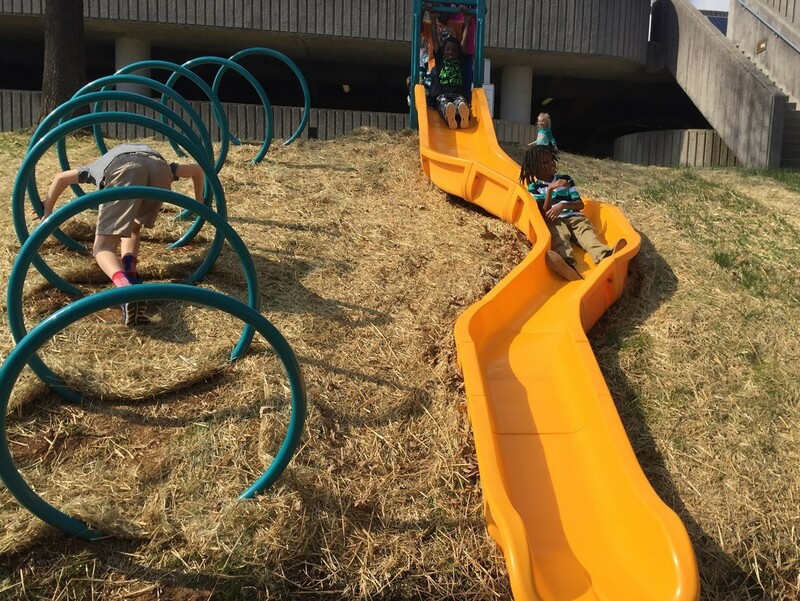 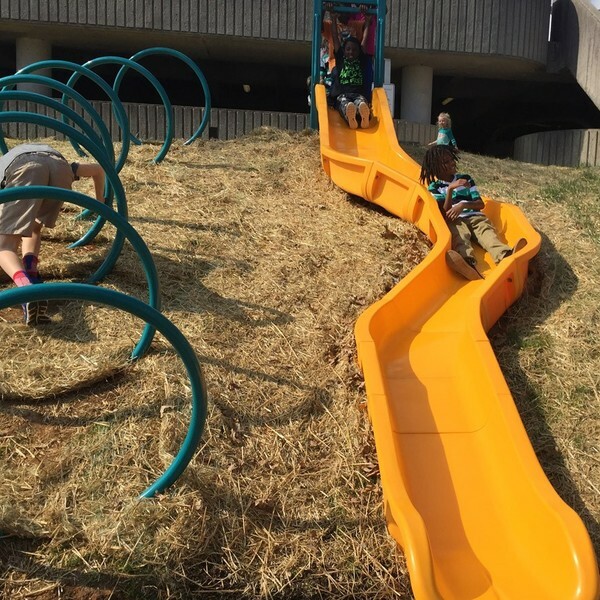 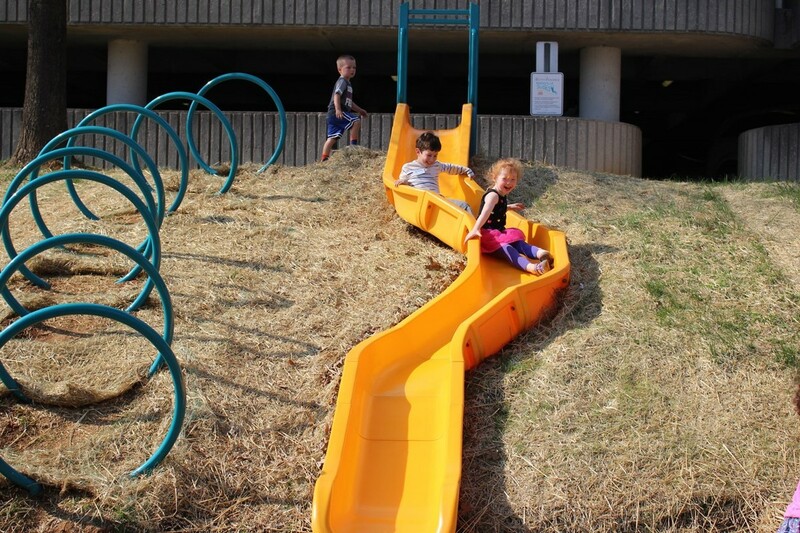 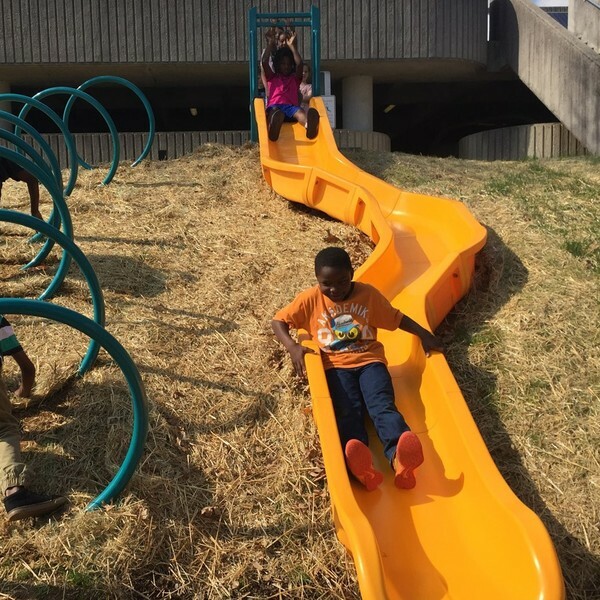 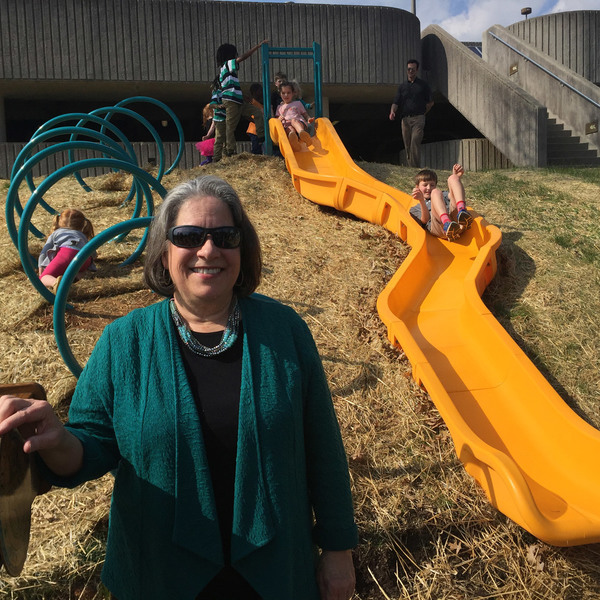 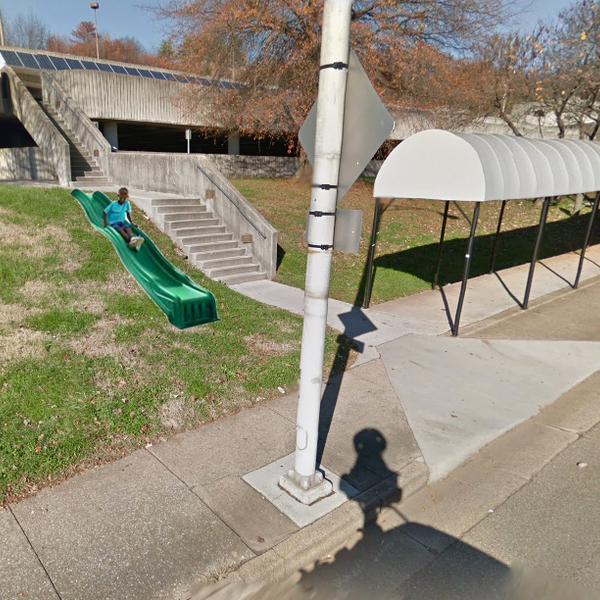 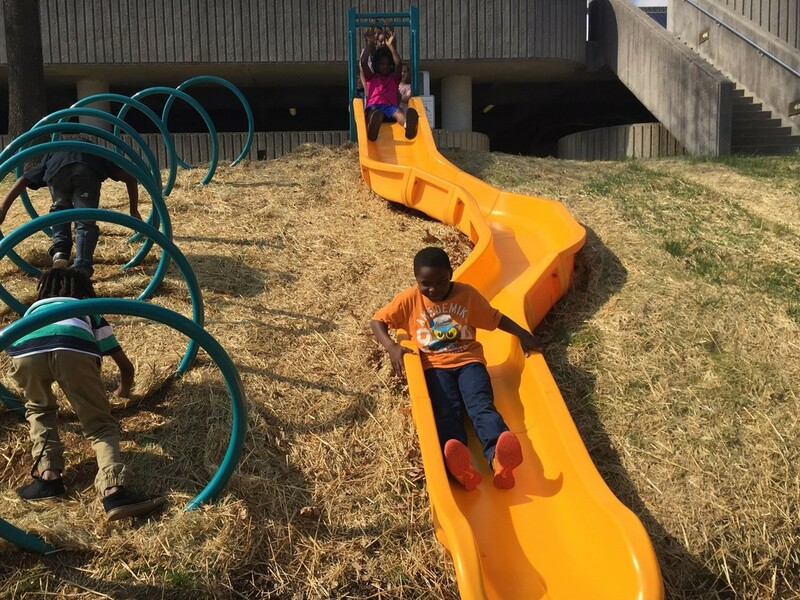 Built adjacent to an existing staircase at the Knoxville Civic Auditorium and Coliseum, the Knoxville Slides are in-ground embankment slides that offer unexpected play in an area where low income families wait for the trolley. 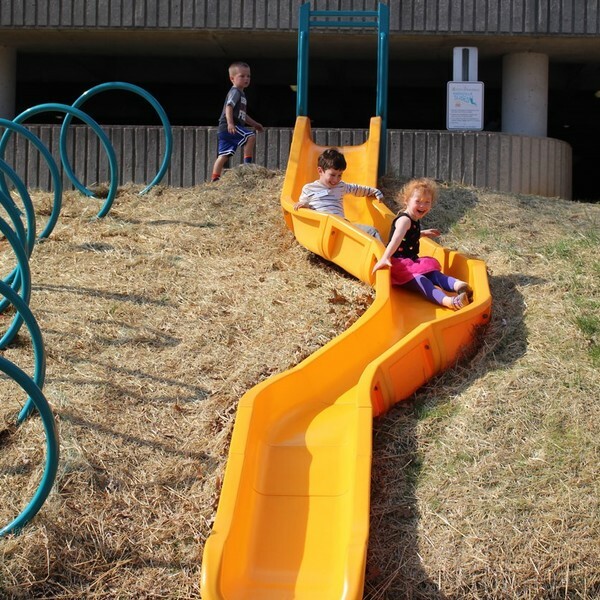 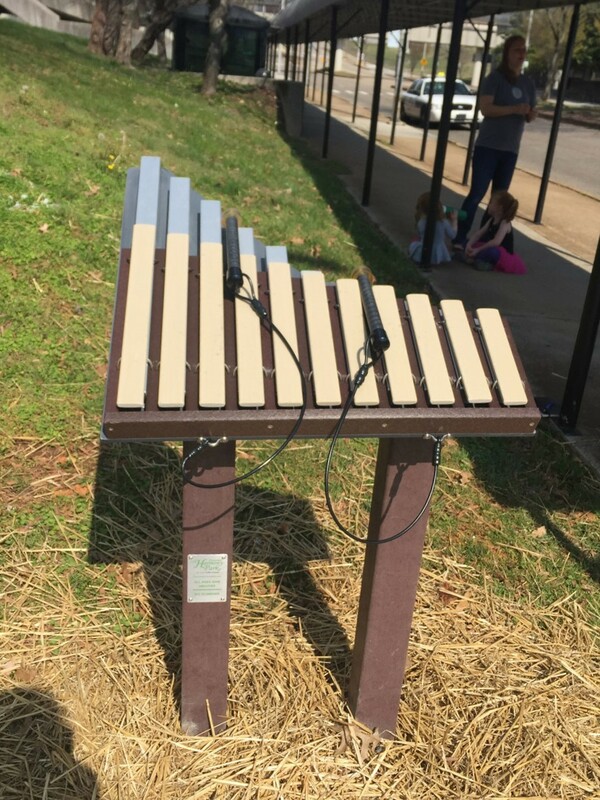 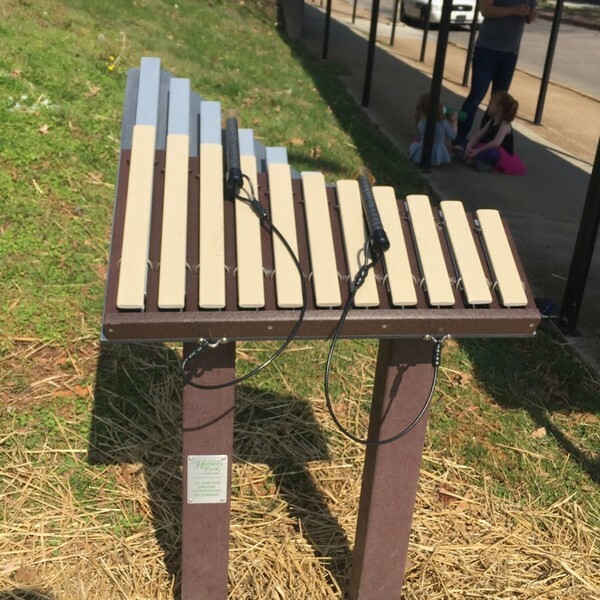 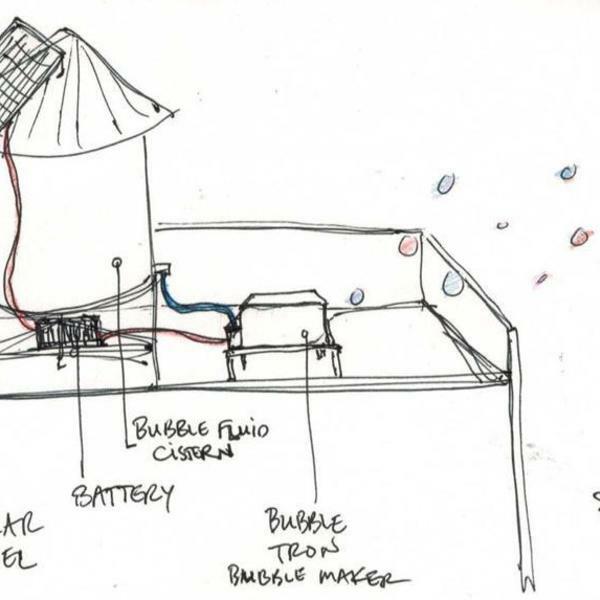 At the end of the slide, kids can use the in-ground metal hoops in the pattern of a ladder to climb back up the hill as an alternative to taking the stairs. 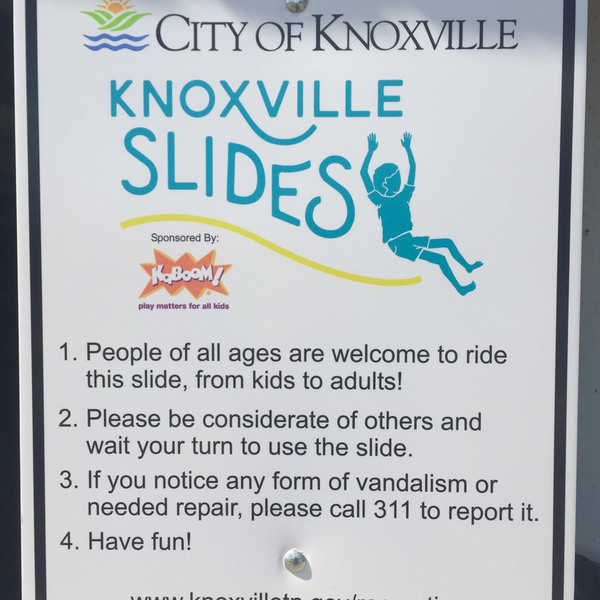 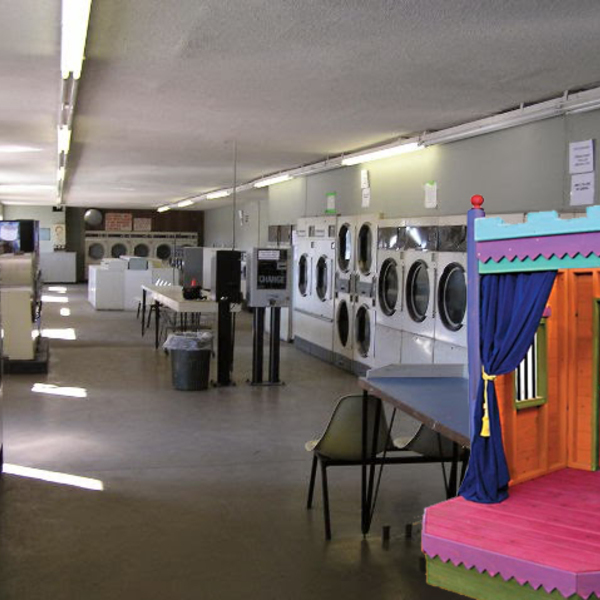 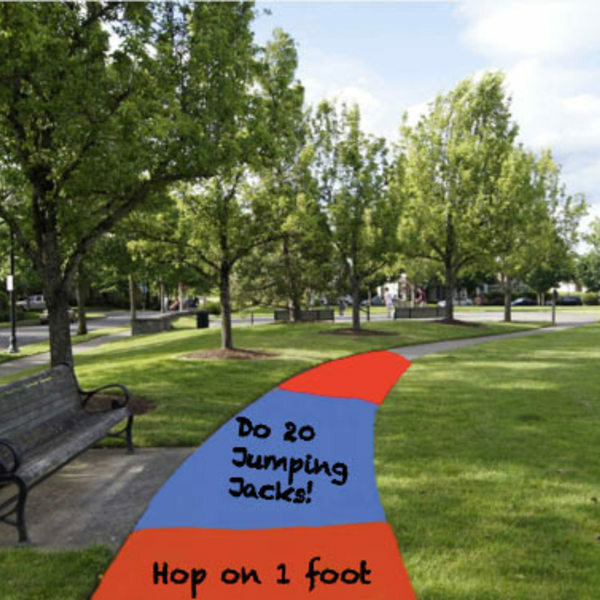 Knoxville Slides promotes interaction between neighbors of the area and visitors from the region. 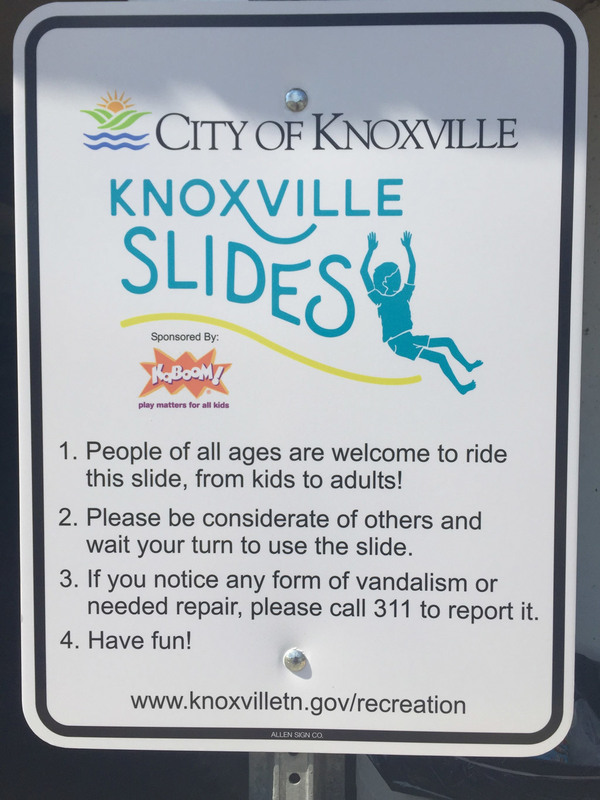 They also encourage exercise, as kids and adults ride the slides again and again. 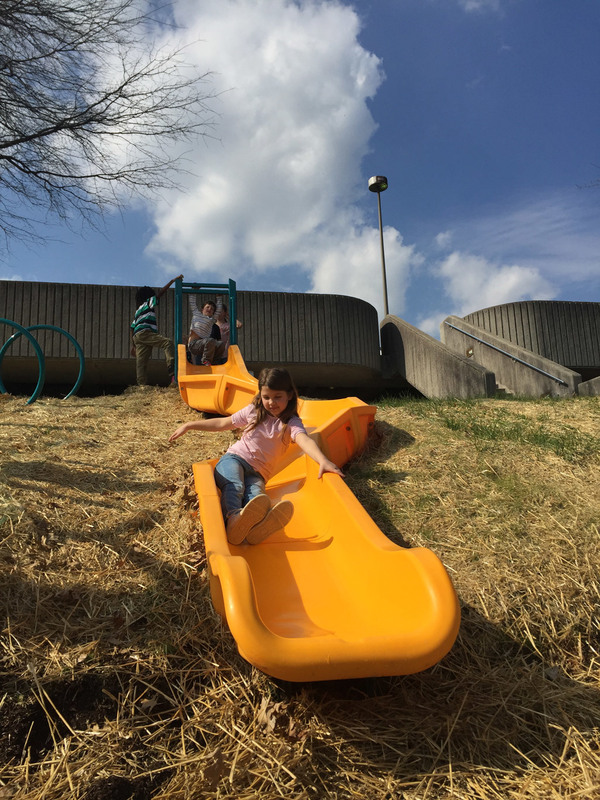 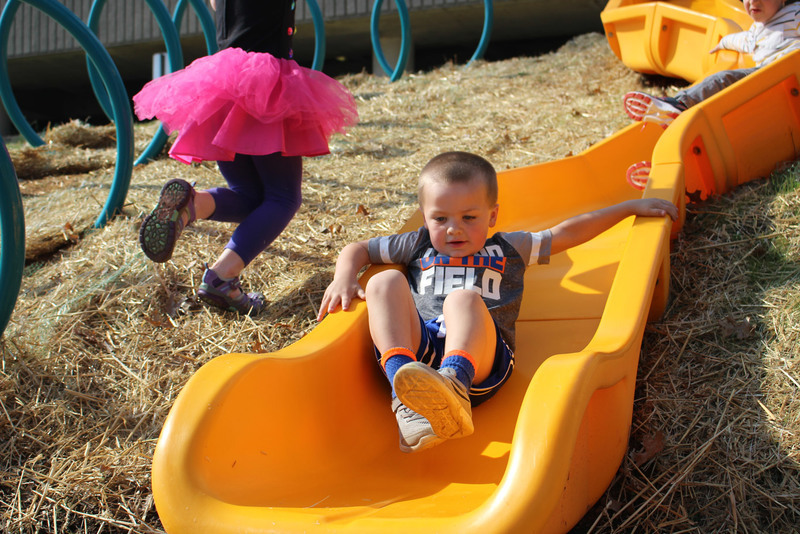 The project has been so well-received by community members that when the city built a new playground, they included a natural playspace that takes advantage of the hilly terrain part of the property.